The best time to create a positive learning environment for your students is in the first weeks of the school year. 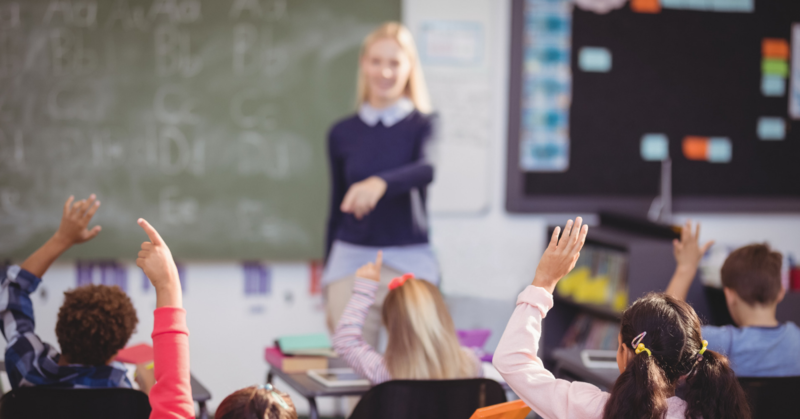 No matter how long you’ve been a teacher, there’s no doubt that you understand how important it is to create and build a positive learning environment where each student feels safe and secure enough to grasp the lessons that you provide each day. Following are some tips from seasoned teachers on how to create a positive classroom. These tips were curated by both educators and parents. No doubt, they will help you in building a positive learning environment for your students. These strategies fall into three general categories. As early as the first day it’s crucial to start building positive relationships with both students and their parents. Take the opportunity before the start of the first day of school to meet students along with their parents inside the classroom. This gives parents an opportunity to see the environment in which their student child will learn. It also gives students an opportunity to associate the classroom with the familiar– the parent. It may be tempting to start off right away with the lessons that you need to cover during the school year. However, it’s worth it to take time to build relationships with your students that will pay off all year long. Remember that you have valuable resources in your other faculty members and school staff members. Stay in touch with fellow teachers in person and or on social media. The support you get from an understanding fellow teacher will prove invaluable as the year progresses. Trying to integrate humor and other strategies to build a rapport with students. This will help students feel like you can relate to their situation. This strategy is particularly useful when communicating dry material such as rules and regulations. Be sure to encourage students to speak your language too, so the communication goes both ways. Even though you’re used to the rules because you may have been teaching for a long time, students aren’t. Try to remember that, even though you may have memorized all the rules and regulations, your students are still getting used to your teaching style as well as the classroom expectations. Don’t necessarily assume that your students automatically know how to communicate respectfully with one another, do research, take notes, or collaborate on projects. You may have to dedicate a portion of class time to teaching the basics. However, this investment will help to create a positive learning environment and certainly pay off in the future. One of the best ways to teach collaboration and to improve student self-esteem is to allow students to have a say in classroom decisions. Such decisions as how the desks and chairs are arranged or the arrangement of posters on the wall. As time goes on, you can also let students have an input into project ideas and implementation. This not only alleviates some of the burden of having to make every single decision by yourself; it also helps to make students feel like they played a part in creating their learning environment. Put your trust in technology. The latest technology can sometimes be confusing when you haven’t used it before. However, technology has become part of our daily lives and it’s important that you find ways to integrate technology into the classroom. Ideas include making a digital classroom newsletter or a classroom blog that students can update on a regular basis. Remember that creating a positive learning environment is not a science. There will be times when you make errors in judgment or try a new strategy and it doesn’t work out. You don’t have to get everything perfect right away. Even when you make errors you can learn from them. Creating a positive learning environment has benefits for both you as a teacher and for your students. When the learning environment is positive, students have a much better chance of being able to absorb all the information that you have to share. These are all great ideas for creating a positive learning environment that you can implement no matter where you happen to teach. Of course, sometimes implementing creative ideas in the classroom costs money for supplies and other expenses.